Ground-Guards exhibited at the UK Infrastructure Show 2017 this week to showcase the latest in ground protection innovations and network with buyers from major infrastructure projects. We found the show to be a unique opportunity to engage, connect and collaborate with a vast array of key projects, decision makers and influencers representing all areas throughout the supply chain. It was very insightful to understand current and future infrastructure pipeline projects that are taking place; identifying national, regional and local projects that need our expertise. 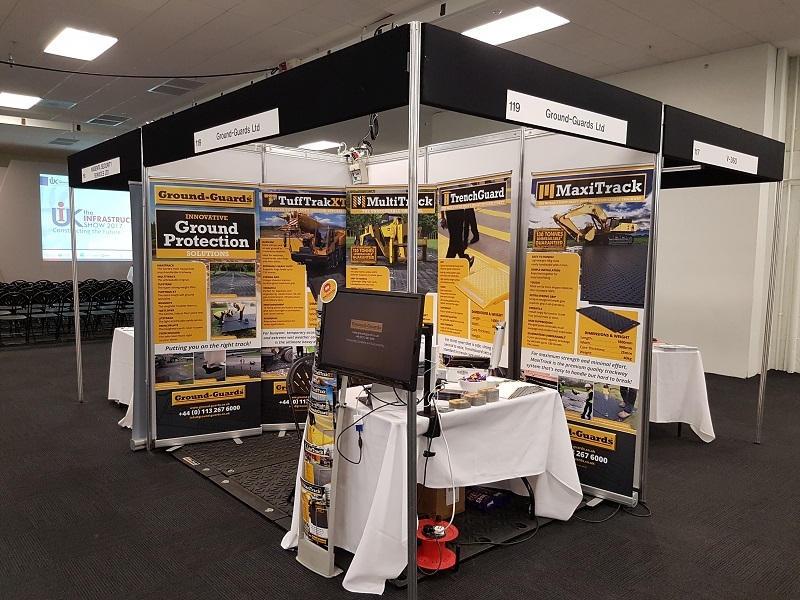 Showcasing our range of high performance ground protection solutions, we saw lots of interest in our two flagship ground mats, MaxiTrack and MultiTrack, which have proven track records for delivering ROI across civil engineering, utilities, energy and related infrastructure sectors.